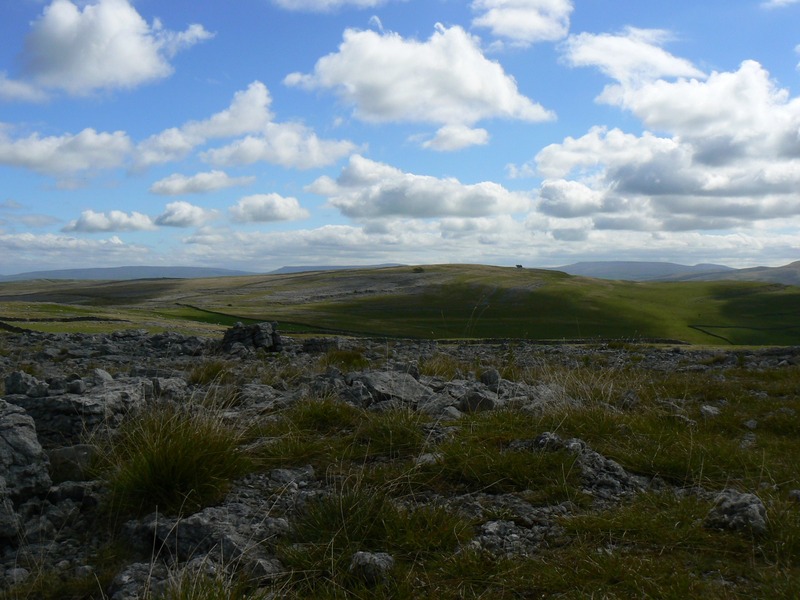 Knott is the summit of the limestone hill of Great Asby Scar and is the highest point of Westmorland’s Orton Fells. 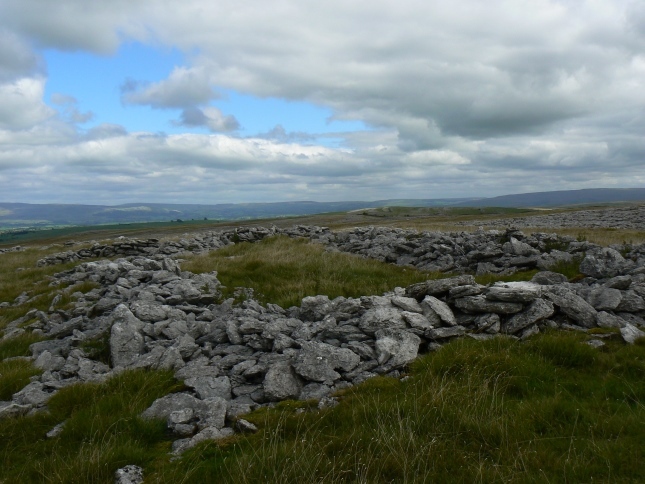 Knott, like its neighbours Crosby Ravensworth Fell, Beacon Hill, Little Asby Scar and Nettle Hill, was incorporated into the Yorkshire Dales National Park in August 2016. Although belonging to modern day Cumbria these limestone hills are very much part of the historical county of Westmoreland. 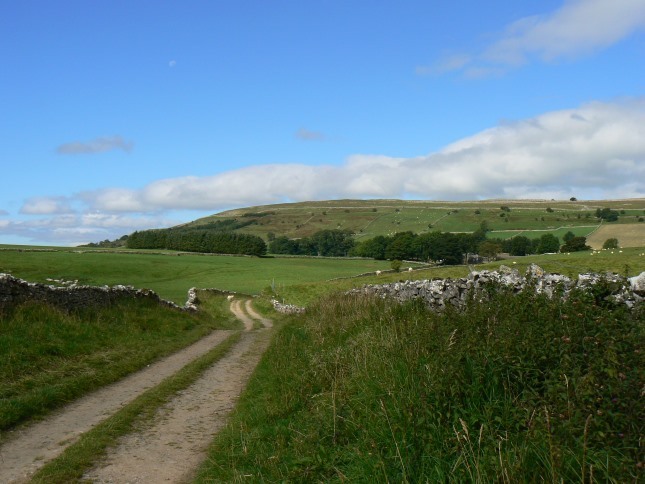 Knott is part of the Great Asby Scar National Nature Reserve. 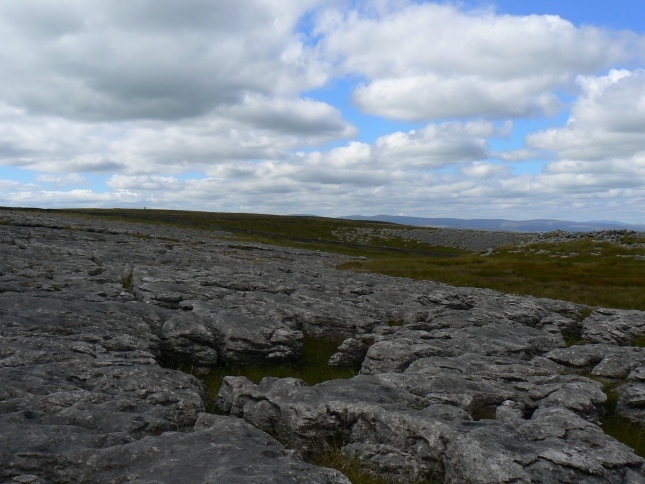 The designation as a nature reserve is largely due to the superb examples of limestone pavement that cover the area. 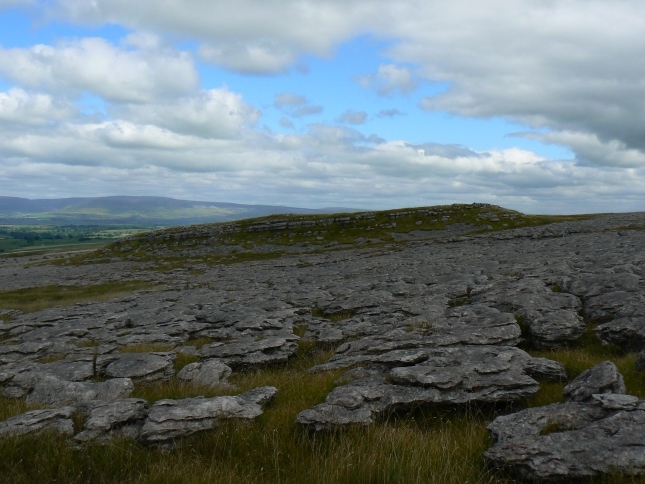 The limestone pavements play host to a range of rare plants such as angular Solomon’s-seal, dark red helleborine, bloody crane’s-bill, rigid buckler fern and limestone fern. There are two 412m spot heights on Knott. 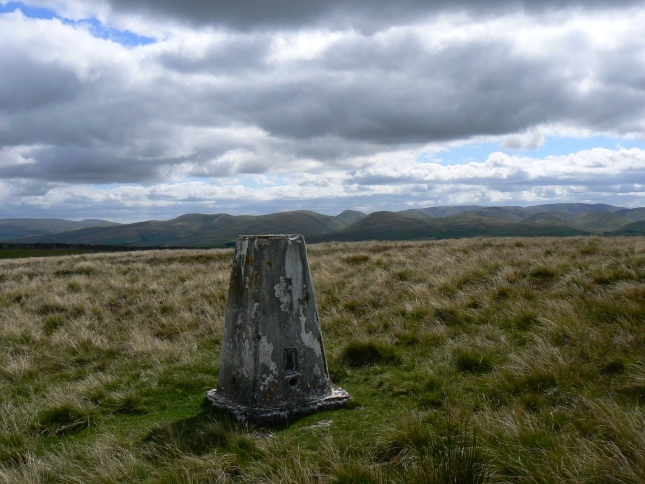 One is topped by an Ordnance Survey trig point and is largely grassy and devoid of the limestone found elsewhere on the fell. Several hundred metres to the ESE is another 412 spot height. The Database of British Hills claims that the ground next to the wall at this point is higher than the trig point. This may be so but I think most people would agree that the trig point makes a more satisfying summit. The panorama from the summit is superb. There is a magnificent view south of the Howgill Fells whilst to the west is a long line of Lakeland fells. 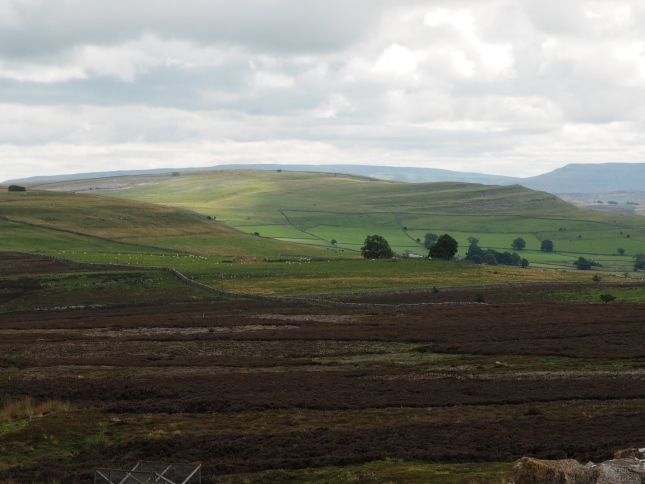 To the north both the Cross Fell and Mickle Fell ranges are well seen in the North Pennines. Finally, away to the east are the fells above Mallerstang including Wild Boar Fell. A few hundred metres to the north-east of the trig point is a small ridge of limestone called Castle Folds. The map shows the remains of an ancient settlement on here. A closer inspection does indeed reveal what looks to be the outline of some buildings, unsurprisingly made from the native limestone. Whilst no public rights of way visit either of the 412m summits the going is quite easy, though care obviously needs to be taken when walking across the clints and grikes on the limestone. Probably the easiest approach to the trig point is to take the bridleway at the head of Knott Lane. Before the bridleway reaches the wall below Beacon Hill simply turn right and, doubling back to the south-east, climb up to the trig point.